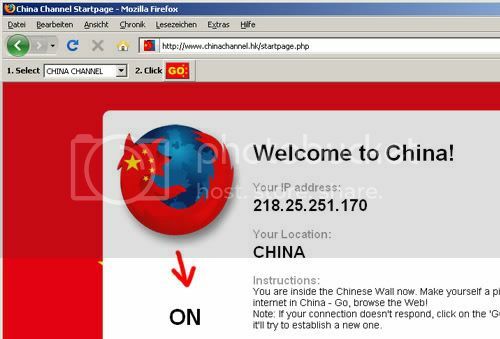 The Firefox add-on China Channel offers internet users outside of China the ability to surf the web as if they were inside mainland China. Take an unforgetable virtual trip to China and experience the technical expertise of the Chinese Ministry of Information Industry (supported by western companies). It’s open source, free and easy. Web 2.0 is a gallery installation consisting of two internet enabled computers, a hacked mouse and keyboard, and a custom plugin for the popular (and free) Firefox web browser. Two computers are connected to a single keyboard and mouse allowing visitors to control both identical machines at the same time while using just a single input device. 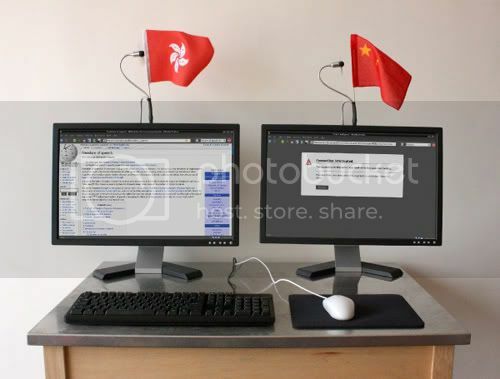 The only difference between the two internet terminals is their network connection; one machine is connected to the less restricted internet in Hong Kong, while the other is connected to the internet through a connection point in the mainland of China. 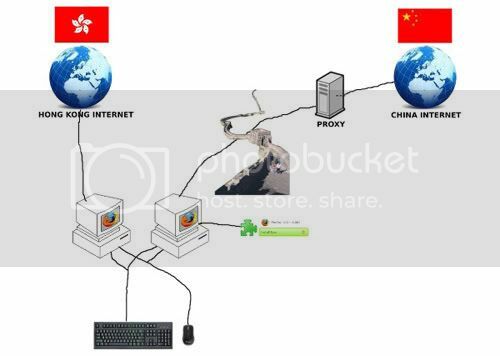 Unlike many tools which enable Chinese people to freely surf the web via connections to computers outside of China, this plugin routes all internet traffic to computers on the inside of the Chinese firewall, allowing web surfers to experience an Internet identical to that of Chinese. The Internet is not the same for everybody. Despite it’s reputation as a borderless, global, connected, democratic network, access and content filtering based on national boarders has become the norm. The BBC, for example, filters content for copyright reasons to visitors accessing their website from outside of Great Britain. Much more serious, however, is the heavy political censor^ship happening in countries like China, Saudi Arabia, and Iran. China, being the most extreme example, strictly censors political content on the web through the blocking of IP addresses and dynamic content filtering. With the support of western technology companies such as Cisco, Yahoo, and Google, The G^olden S^hield P^roject (sometimes referred to as the the G^reat F^ire W^all of China) censors the web for China’s 1.3 billion inhabitants. The Internet police in China is estimated to contain over 30,000 workers, and is responsible for blocking content such as T^ibetan independence, T^aiwan independence, police brutality, the T^ienanmen S^quare p^rotests of 1989, freedom of speech, democracy, religion, and some international news. @Jone Thanks. Bookmark my blog url and visit whenever you want. Welcome back any time you wish. Every government likes to do it, save that it is limited by constitution.